Refillable Ink Cartridges There are 326 products. Everybody loves a good saving, so when you need quality refillable Canon ink cartridges at the best prices, shop online at MIR-AUS. 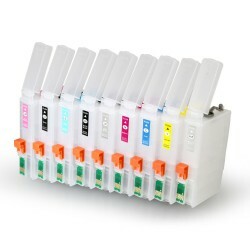 We offer a large collection of genuine and compatible Canon cartridges for your printer. Our MIR-AUS cartridges are an ideal printing solution for home and business printing, and can be relied on to deliver a professional-grade image on any surface. Whether you’re a photographer and need the best ink for your prints, or just want a great result from your home printer, refill your Canon with our ink cartridges. Not only do we offer FREE delivery on orders over $95, but all our products are sitting in our warehouse in Alexandria, NSW so you’ll receive your order fast! We feel that this is a much better solution than shipping your printing solutions in from overseas, which many other ink cartridge providers choose to do. Buy your refillable ink cartridges for Canon printers in bulk at MIR-AUS and save! 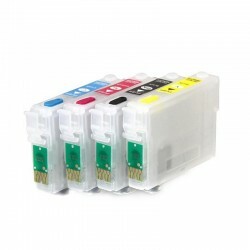 When you need the cheapest ink cartridges that are compatible with your Brother printer, shop online at MIR-AUS. We stock a large range of Brother refillable ink cartridges at the cheapest prices in Australia. Our warehouse is located in Alexandria NSW, so you know your goods won’t be shipped in from overseas, unlike some of our competitors. This means you’ll receive your products at a faster turnaround, wherever you are in Australia. 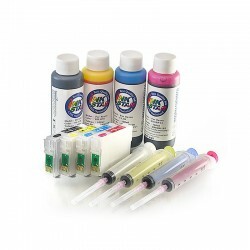 Buying in bulk not only offers assurance that you won’t run out of ink when you need it the most, but it’s also a cost-effective option. With FREE shipping nationwide for purchases over $95, buy your ink cartridges from Brother online today from our online shop or store in Sydney and save. Our cartridge makes refilling your printer’s ink supply much easier because the cartridge itself remains in your printer while you refill an easy-to-use external reservoir. This means you don’t have to go through the messy, complicated and difficult process of changing cartridges and dealing with the inevitable computer and printer errors that come with it. The inks in our cartridges are of the very highest quality, and we fill our cartridges on the day of your order to ensure you have only the freshest ink for your printer. 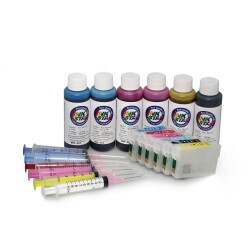 We can also provide a huge range of inks for you– whether you need dye ink, textile ink or other kinds of cartridges, we have you covered. It can be a major inconvenience when you run out ink during an important print run, so buy your cheap HP refillable ink cartridges online from MIR-AUS and get a guaranteed fast delivery to wherever you are in Australia. From our warehouse in Alexandria, NSW, we stock an extensive range of genuine and compatible HP refillable ink cartridges. We offer FREE shipping on any purchase over $95, so buy in bulk and store away for later use. You’ll never run out of ink cartridges for your HP again when you buy your products from our store. 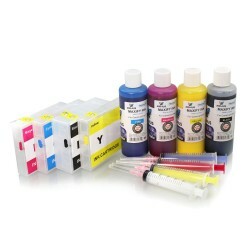 Refill ink cartridge is the cost-effective product for your inkjet printer. All of our goods are kept in stock at our Sydney warehouse, rather than us shipping our goods in from overseas. This ensures a quick, prompt and reliable service for all of our clients – domestically and overseas. 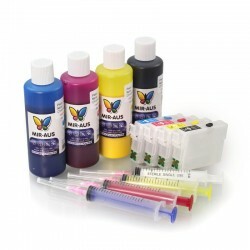 Order refill ink cartridges, online or from our store in Sydney.